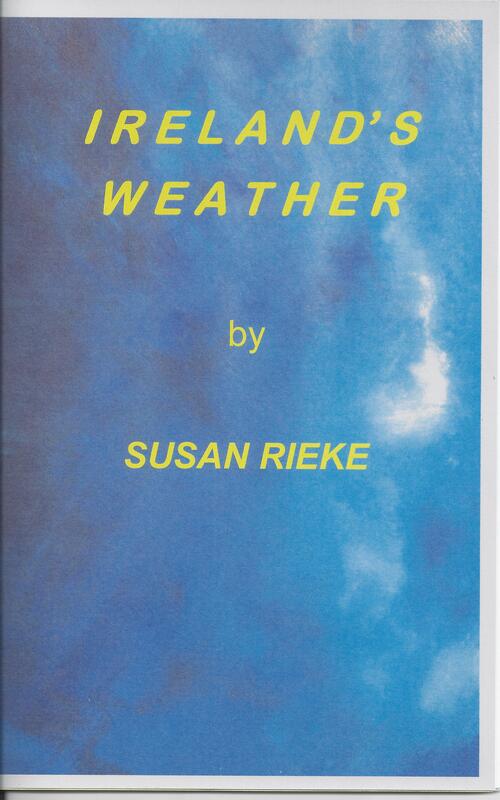 Susan Rieke’s Ireland’s Weather mixes all the mythic beauty of Ireland with clear-eyed observations. Contemporary sights mingle with ageless natural wonders. Even a commonplace experience like dawn becomes extraordinary as the poet notices how “the sun tilts with a side grin.” Travel with this writerly companion to a landscape populated with robins, crows, bees, and “old demons.” The journey will change everything. PAYPAL purchase, online discount, $9.00, free domestic shipping. but quiet night counts on her cold. Velia, witch of the wood, weaves magic. for attention when the moon mounts the sky. Crows form a front team. and dark recesses of memory. Susan Rieke, S.C.L. and Ph.D., is a Professor of English, holding the McGilley Chair for Liberal Studies at the University of Saint Mary in Leavenworth, Kansas. 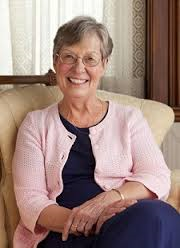 She has published two books of poetry, Small Indulgences and From the Tower (with Mary Janet McGilley, S.C.L., and Michael Paul Novak), as well as individual poems in many magazines. She does numerous poetry readings in the greater Kansas City area. Through the Kansas Humanities Council, she has given talks on Emily Dickinson and Walt Whitman and led book discussions in the state of Kansas. She is a native of Jefferson City, Missouri.